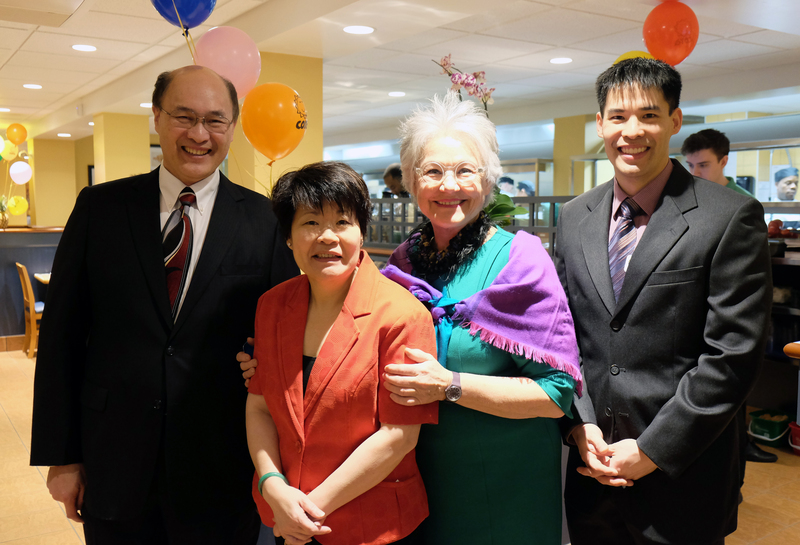 Above: Jack Wong, Siu Ling Wong, Madame Cora Tsouflidou and Colbin Wong at the launch of Cora Restaurant in the West End. 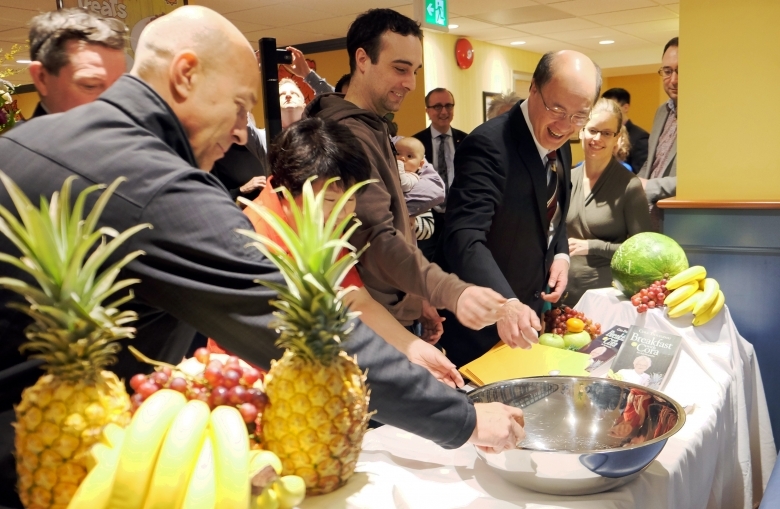 On a rainy Thursday morning, the grand opening of Cora Restaurant (1368 Robson Street) offered a bright and cheerful respite. With the smell of bacon and fresh coffee filling the newly renovated space, a large group of local residents, business owners and dignitaries joined founder Cora Tsouflidou and franchisees Jack Wong, Siu Ling Wong and Colbin Wong to celebrate the opening of Cora on Robson Street. If you’ve spent any time in Quebec or Ontario, you’ll know that Cora is a household name when it comes to breakfast and lunch. This Quebec-based chain of restaurants has now gone national, with over 130 locations across Canada. The new Robson Street location marks the eighth Cora to open in British Columbia. 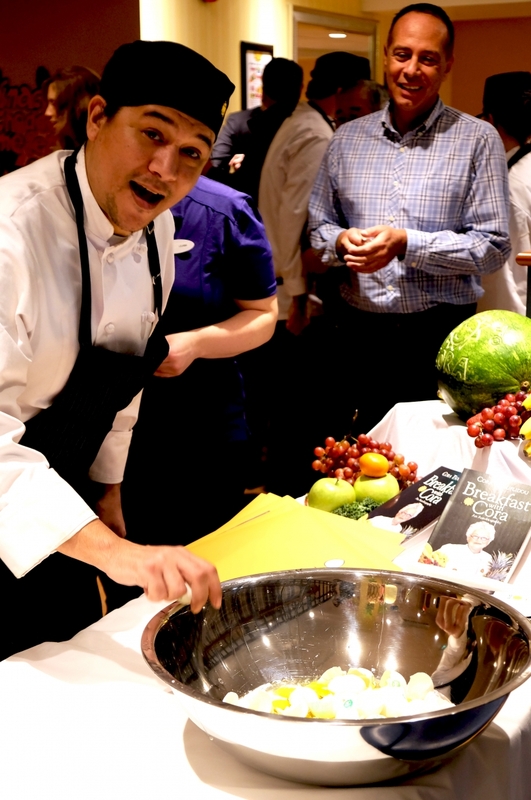 Cora Restaurants launch each of their locations with a ceremonial egg cracking. Murray Bilida (above, right) from MLA Spencer Chandra Herbert’s Constituency Office was among the many guests to crack an egg this morning with members of the Cora staff. 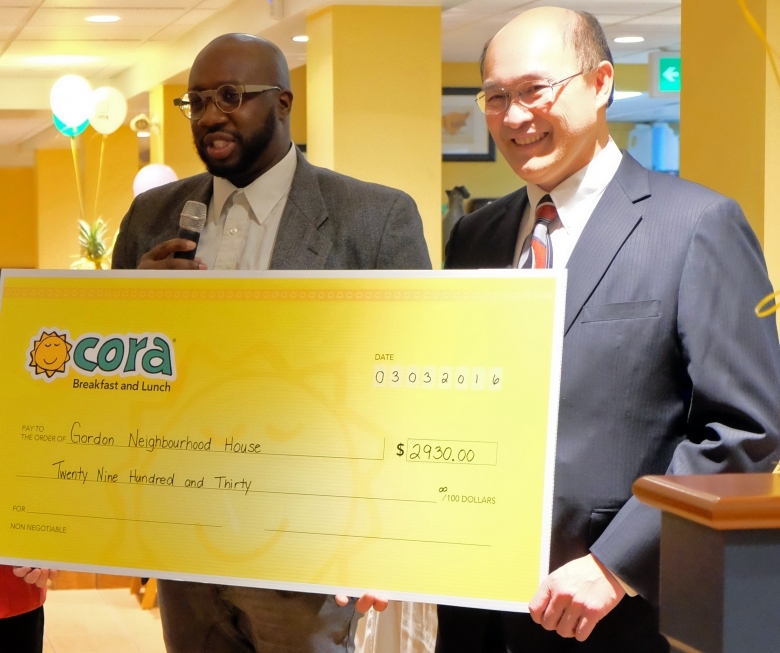 Last weekend, Cora Restaurant hosted a Friends and Family Day, the proceeds of which were donated to the Gordon Neighbourhood House. Executive Director Paul Taylor was on hand to accept the cheque for $2930.00. Fantastic to see this kind of community support from a new member of our business community. And with that, Cora Restaurant is officially open for business on Robson Street! 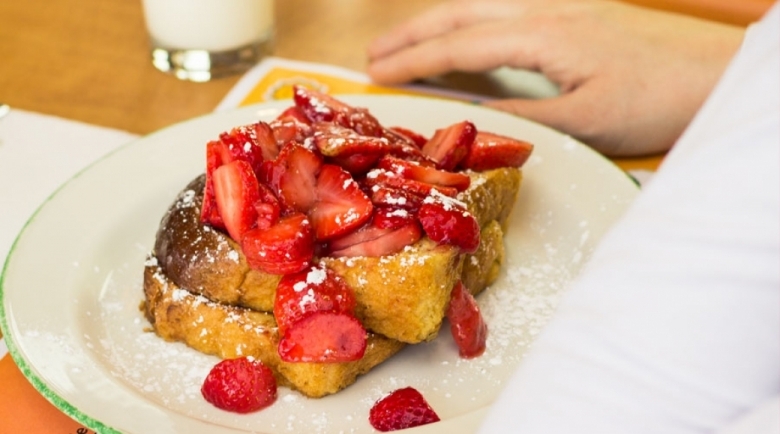 We invite you to make your way over for breakfast and lunch and show them a warm West End welcome.